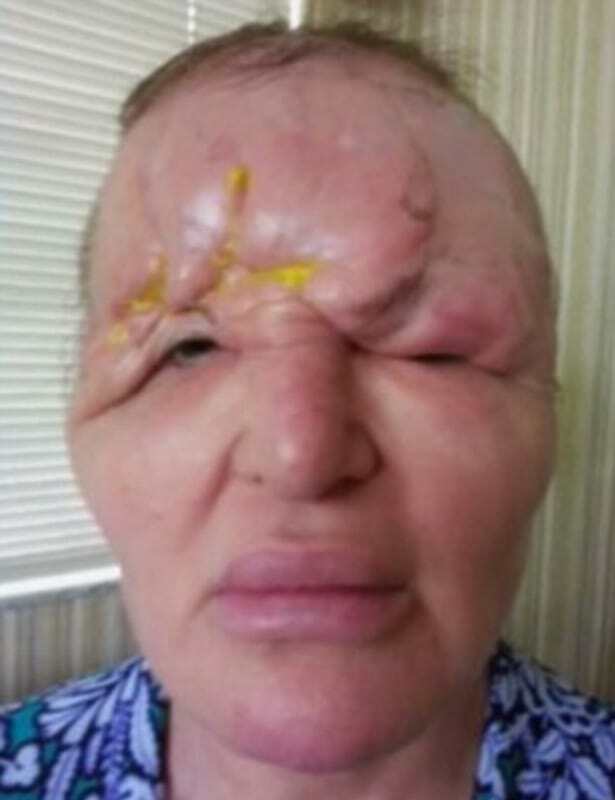 When Carol Bryan visited her cosmetic surgeon to try a dermal filler, she couldn’t have predicted it would leave her disfigured, blind in one eye and contemplating taking her own life. Bryan, a 54-year-old from Florida, had fillers in 2009 but they were injected into a part of her face they shouldn’t have been. As a result, her forehead swelled so much she had to tape her eyes open to see. After the injections, Bryan had the ‘typical side effects’ including bruising and swelling. Corrective surgery made things worse, leaving her to permanently lose sight in one eye and so ‘grossly disfigured’ that she lived as a recluse for more than three years and contemplated suicide. “My face began to swell and contract to the point where, not only did I have to hide from my family and friends, I actually hid from myself, never looking in the mirror,” she told The Independent. Appearing on the show The Doctors to speak about her transformation, Carol revealed it was the first time in six years she had stepped out in public without sunglasses to cover her face. Almost a decade after the initial injections, Bryan is campaigning to raise awareness about how low-risk cosmetic procedures can be dangerous. Today, she is heading the Saving Face initiative as director of the Face2Face Healing organisation which raises awareness of disfigurements.